Gaining access to deep insights into your health has never been easier. 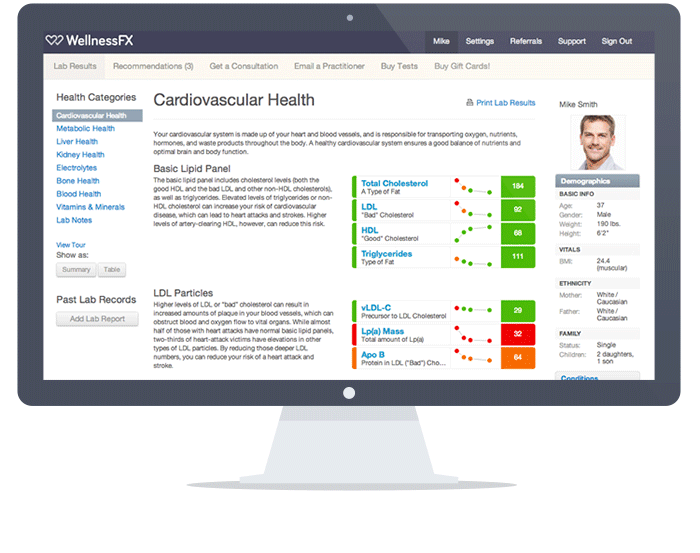 With WellnessFX, you'll receive advanced biomarker data within a week of your blood test, uploaded into your secure, personalized dashboard. Simply sign up, print your lab order, and find a lab location near you! 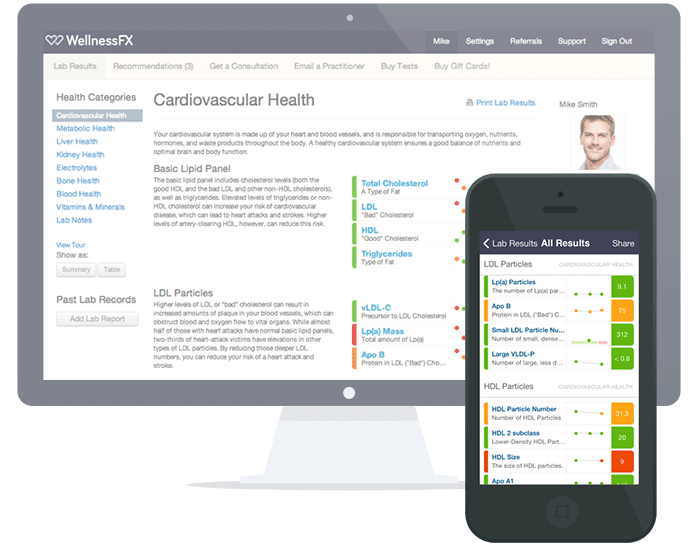 Create a free account to upload previous lab results into your WellnessFX dashboard. Visualize your past results, see how your health has changed, and learn how you can improve your numbers through diet and exercise. Your WellnessFX dashboard offers a streamlined visualization of your blood test results over time, plus detailed descriptions of each biomarker for an easy interpretation of your overall health. Your blood regenerates every 120 days, so it's easy to see the differences that diet, supplement, and lifestyle changes can make on your health. Check in on your biomarkers over time and make strong correlations between what you're doing to stay healthy and how it's affecting your numbers. 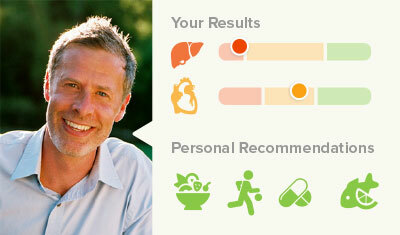 WellnessFX offers personalized consultations with licensed health practitioners for even more insight into your health. 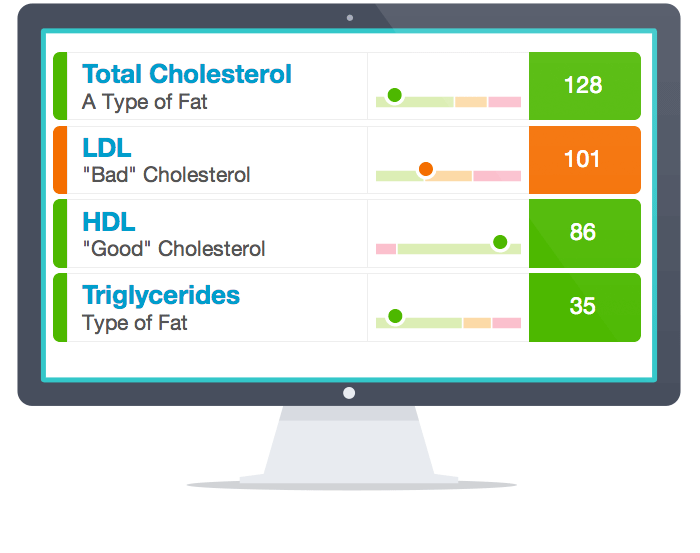 Talk to a nutritionist, registered dietitian or physician to get recommendations based on your unique biomarkers. From women's health to endurance training to weight loss, our practitioners will help you identify potential health risks or areas of improvement. Access your unique dietary, supplement, and lifestyle recommendations anytime, anywhere through your WellnessFX dashboard. WellnessFX offers one-on-one telehealth consultations with licensed health practitioners for even more insight into your health. 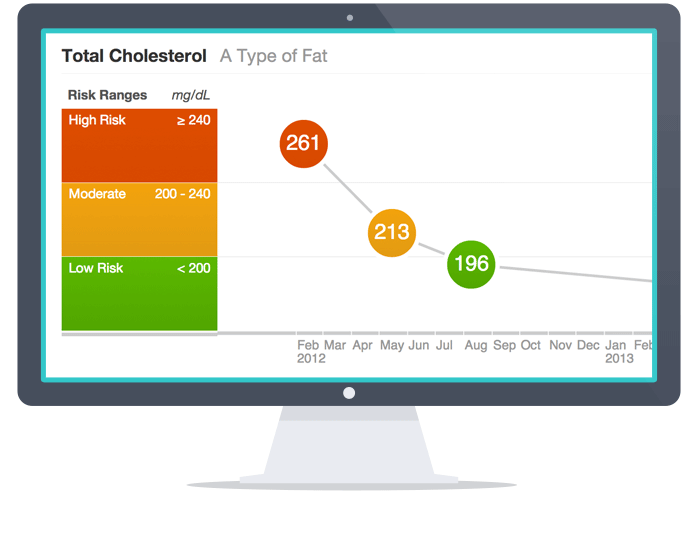 Talk to a nutritionist, registered dietitian or physician and get recommendations based on your unique biomarkers. From women's health to endurance training to weight loss, our practitioners will help you identify potential health risks or areas of improvement. Knowledge is powerful medicine. And you don't have to wait until you feel sick to take charge of your health. Once you know your numbers, it's easier to see what you're doing right so you can focus on areas of improvement. The WellnessFX dashboard lets you see your progress over time, giving you the insight you need to make big changes in the right direction.